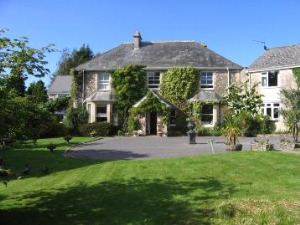 Fairwater Head Hotel01297 678349work01297 678459fax HotelIf you are looking for a short break, a room for the night or a romantic, intimate wedding venue, you'll find Fairwater Head Hotel the perfect place to relax, entertain or dine in style. Tucked away in peaceful countryside and approached down leafy lanes of Hawkchurch - the fairwater Head is a mere 4 miles from Axminster and 5 miles from Lyme Regis and the Jurassic Coast. Peaceful with family hospitality, set in award-winning gardens, panoramic views overlooking Axe Valley. One rosette restaurant serving local produce and organic vegetables where possible. East from Hawkchurch to crossroads, follow signs (off B3165). 4 miles. Direction towards Crewkerne on A35 then B3165.